Car Repair Loans Up To $10,000 | No Paperwork! Apply Now! Car Repair Loan up to $10,000 | Apply Now! Car repair loans up to $10,000. Apply now! Has a recent car accident sent your finances into turmoil? Did your car break down leaving you on the verge of a mental break down trying to figure out how to pay for the repairs? Well, keep it together because Jacaranda Finance has you covered with car repair loans. If you’re sick of taking the bus while your car just sits in the garage waiting to be fixed, apply for car repair loans with us and we’ll help you get back on your feet and on the road in no time! In three words, we are fast, friendly and fabulous! With an simple and quick online application, flexible repayment options and no fees for early payouts, we can offer you a car repair loan experience that’s right for you and right when you need it most. Furthermore, we understand that taking on debt can be stressful and that you may need a bit of support to help you understand the ins and outs of how Jacaranda Finance car repair loans work. This is where the fabulous comes in! You can speak to a real person every time you contact our specialised team between 8am to 6pm Monday to Thursday, 8am to 4pm Friday and 8am to 12pm on Saturdays. We guarantee it! If you have a query outside of these times – simply send the team an email and we will get back to you the next business day. 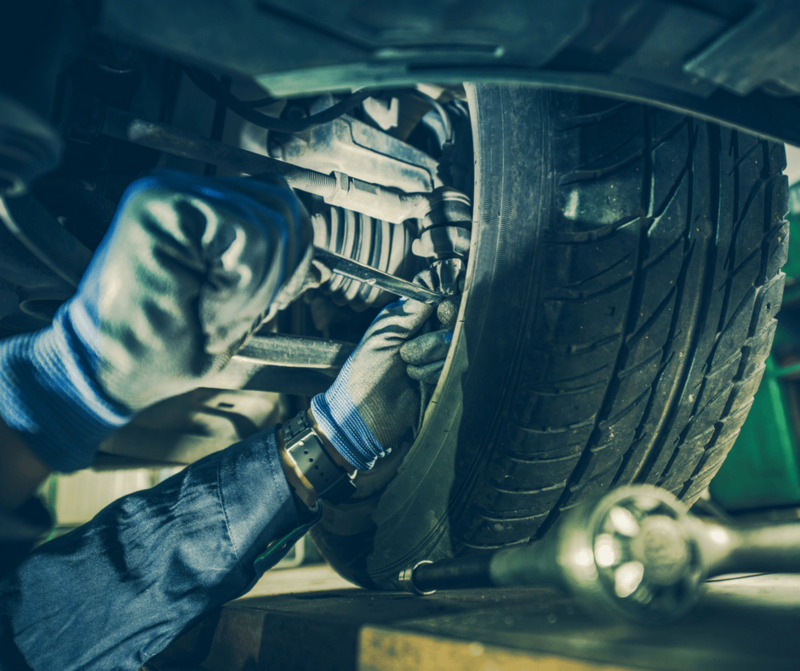 Can I get emergency money for car repairs with Jacaranda Finance? We offer one of the fastest services for car repair loans in the country. Therefore, you could break down at breakfast and be back on the road by dinner. It’s that quick! The first step to getting help with car repairs is to fill out our simple application form. This will only take you a few minutes to complete and then we’ll actually let you know if we’re the right match for you or not! If we are, your application will move on to the next stage. Then you’ll just have to wait 1 short hour before we come back to you with a final offer. We’ll likely give you a call just to go over some final details regarding payment terms and then we’ll send you an electronic contract straight away. You’ll want to read it carefully, sign it electronically and email it back to us. As soon as it reaches our inbox, we’ll transfer you your car repair loans instantly. The amount of time it takes for the funds to reflect in your account will depend on the policies of the bank you are with. However, most of our clients receive the money within a couple of hours. Yes, a same day cash loan really is that quick! If you need emergency money for car repairs, Jacaranda Finance is the place to go! Our auto repair loans will give you the cash loan you need to get your wheels rolling forward. Can I get car repair loans with bad credit? If you have no credit or bad credit, you may have found it hard to get car repair loans from a bank and other financial institutions in the past. Again we are fabulous – so we just don’t work that way. We won’t treat you like a number or a liability like the more mainstream lenders. Our highly skilled loan assessment team will take the time to go through your circumstances with you. We’ll make sure you get the help with car repairs that you need. At Jacaranda Finance we believe that your credit history is history and if we can see your recent financial history is sound, we are happy to approve your Jacaranda Finance Car Repair Loan. That’s why we take a look at your bank statements from the last 90-days. It gives us a good idea of your current financial situation and your relationship with money. We do this by using cutting-edge technology to gain access to read-only copies of your bank statements via your internet banking credentials. Personal loan Whether you choose a secured or unsecured loan, you’re sure to seal yourself a reasonable and affordable deal. Expect to pay anywhere between 6 – 10% Miss a payment, even one, and not only will you be charged a late fee, but a strike against your credit history. Why can’t we manually submit our bank statements? So, we’ve just mentioned the cutting-edge technology we use to assess your situation more precisely. This technology is the reason we don’t need you to send any bank statements. All you need to do is provide us with your internet banking credentials and then our system will be able to obtain read-only copies of your bank statements. This saves you time and effort and it also ensures that we’re getting an accurate representation of your situation. The last thing we want to do is push you further into financial hardship which is why we like to go the extra mile in confirming your ability to pay back your short loans. Once we have the information that we need, our system will automatically delete your details 2-minutes after you’ve entered them. It’s that quick! There is a non-human element to this which means that no one is able to log into your account and have access to your funds. It is simply that our system will take your credentials as soon as you’ve entered them and quickly grab your bank statements for us to have a look at. This is all done before you even click submit! The only thing you’ll need to do, prior to applying, is making sure you have internet banking set up. Otherwise, you’re ready to get started with your car repair loans application! What do Jacaranda Finance car repair loans cover? You can use your auto repair loan to fix anything to do with your car. There are three categories of auto repair loans you can apply for with us. These are small personal loans and medium secured personal loans and large secured personal loans. Small personal loans range from $300 to $2,000, are repaid over 12-months and are unsecured (meaning you don’t need to attach an asset for security). Our medium secured personal loans range from $2,001 to $4,600, are repaid over 13 to 24-months and are secured. Large secured personal loans range from $5,000 – $10,000, and are also repaid over 13 – 24 months. Generally, for our secured loans, you’ll need to attach your car, motorbike or caravan to your loans for security. However, if you wish to attach the car that you are getting repaired to your loan, we will only be able to offer you the amount that the car is worth. Therefore, if your car is worth less than the amount you’ve asked to borrow, we will make you an offer for a smaller amount. If you’re after a bit more information on each type of car repair loans, head to Moneysmart. When can I apply for car repair loans? If there’s one thing our cars don’t care about, it’s time. Therefore, they will break down whenever they feel like it, regardless of what our plans are or what time it is. If you’re car breaks down on the way home from dinner at 9:30 at night, don’t stress! You can just jump online and submit an application, no matter how late it is! You could even apply for auto repair loans from your smartphone while sitting in your broken down car. That’s the beauty of us being 100% online. However, as we do have set hours of operation, we will get to assessing your application as soon as we are back in the office. Your application will be one of the first we look at that day which means you could have your emergency cash advance loan for car repairs by lunch! Our online services are available to you 24/7 and if you get stuck with anything while we’re out of the office you can always talk to our AI bot, Dani. You can chat with her on our website or our Facebook page. She’ll do her best to answer any question you may have while the rest of us get our beauty sleep. What do I need to apply for car repair loans with Jacaranda Finance? Have a valid Australian phone number and email address. Once you’ve filled all that out, you’re done! Just click SUBMIT, sit back and relax. We’ll be hard at work assessing your application and doing our best to help you in any way we can! Why was my car repair loans application declined? As we are responsible lenders, we will never approve anyone for a loan that they cannot repay. If your application wasn’t successful it will be because there is some aspect of your profile that expresses to us that repaying your loan would put a strain on your financial situation. It might not have anything to do with having bad credit or because you are on Centrelink. However, our criteria are always changing and we’re sure your situation is too. Therefore, we always encourage you to try again when the road is a little less bumpy. We understand that, for many people, a car is an extremely vital form of transportation. Therefore, apply for emergency money for car repairs through us and we’ll have you back on the road in no time! Jacaranda Finance car repair loans are just what you need to keep the wheels rolling on your road trip to financial wellness! Apply now! Car Repair Loan up to $10,000 | Apply Now! Overall rating: 4.8 out of 5 based on 60 reviews.